In the wake of the Asian Tsunami in 2004, many people in Sri Lanka having seen and heard the devastating destruction brought about by the tsunami grew fearful of water. Since 2016, 60 mums and their daughters from Project Hope have benefited from building confidence in the sea in the aftermath of the Tsunami. 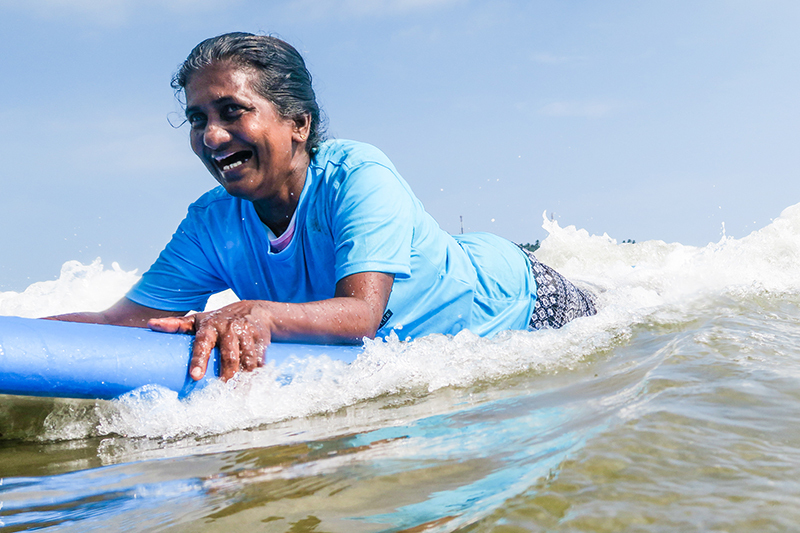 Partnering with Santosha Society and the Manacare Foundation the Watura Womens Surf Club aims to teach water safety and surfing for women and girls. Why is Girls Can surf needed? 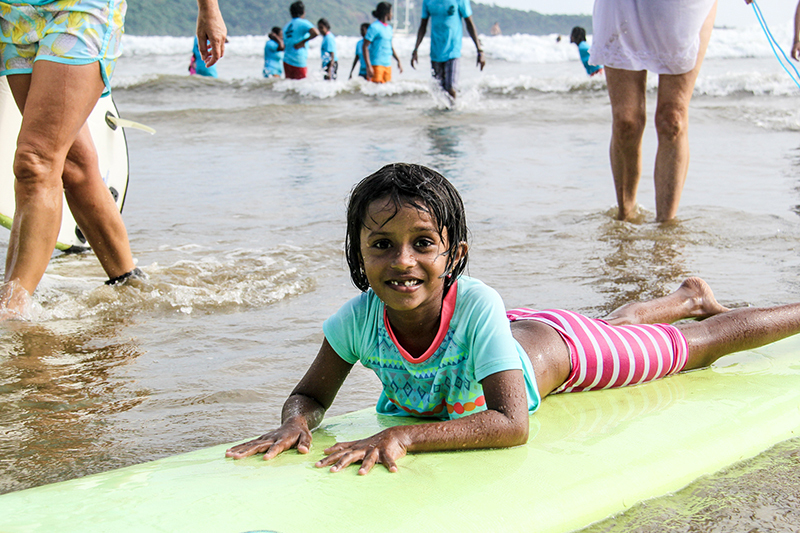 Educate women and girls on water safety in the ocean. Empower women and girls to become positive role models by challenging cultural barriers which have often prevented them from swimming in the ocean. A special mention to our incredible volunteer, Lucy Kirkland for playing a crucial role in establishing the surf club and encouraging the women and girls at Project Hope to take part. Here’s what she had to say ‘Watura Womens Surf Club is now happening! The women are beach ready to switch their skirts and sari’s for baggy trousers and get their hair wet. The girls and women are so relaxed and enjoying the sea. A positive outcome to the conversations about ‘after the tsunami’ which was often one of destruction and loss’. Where next for Girls Can Surf? 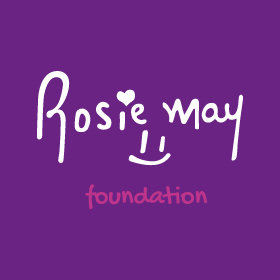 We hope to continue the Girls Can Surf project over the next few years and to encourage more women and girls to actively join the group.